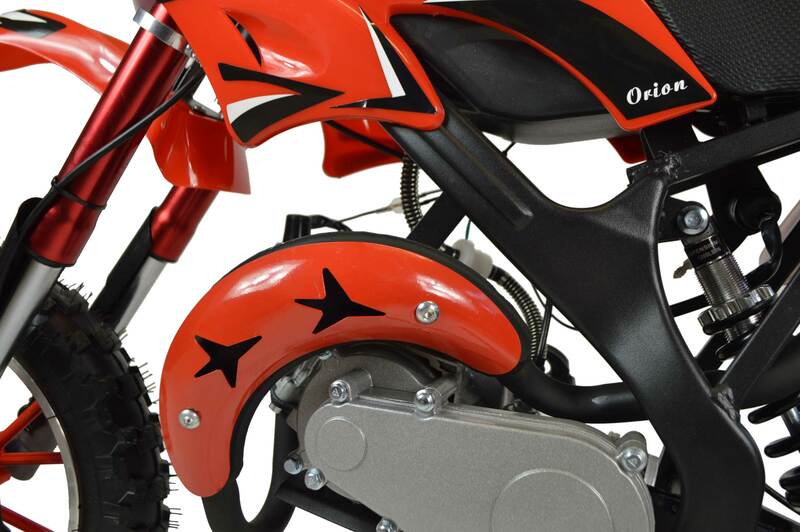 An idea first motorbike for kids. 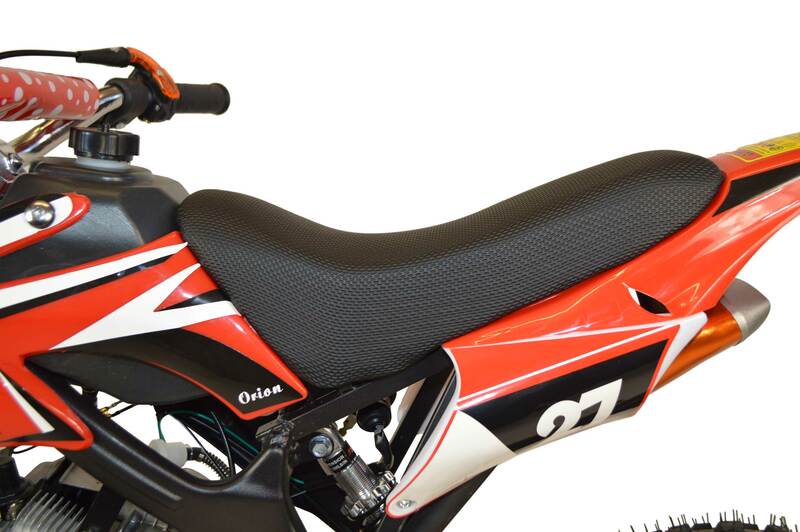 Powered by an easy start 49cc pull start petrol engine and features chrome aluminium exhaust, strong suspension and emergency stop cord all in a reliable high quality package. The motorbike is suitable for all weather conditions. It's a strong bike with alloy frame, front aluminium telescopic fork and hard wearing grippy rubber tyres that can handle some fun off road action. 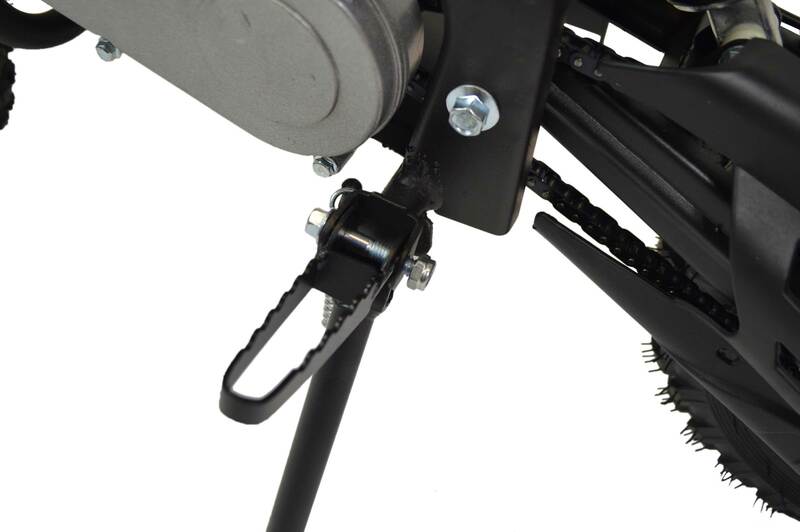 It's super easy to use with simple twist to go throttle and front/rear vented brakes. 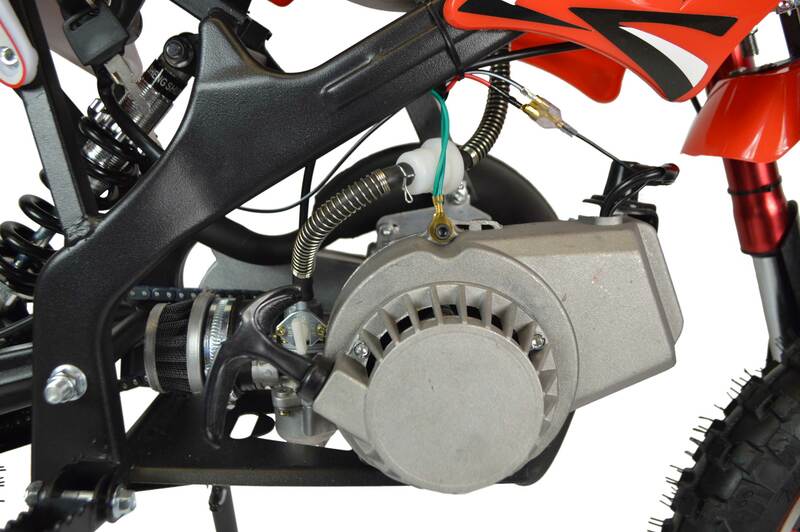 The 2-stroke engine is the new easy-start type and runs on a mix of normal unleaded mixed with engine oil. The nippy 50cc Petrol Engine gives a maximum speed of 30 km/h. Front vented disc brakes. 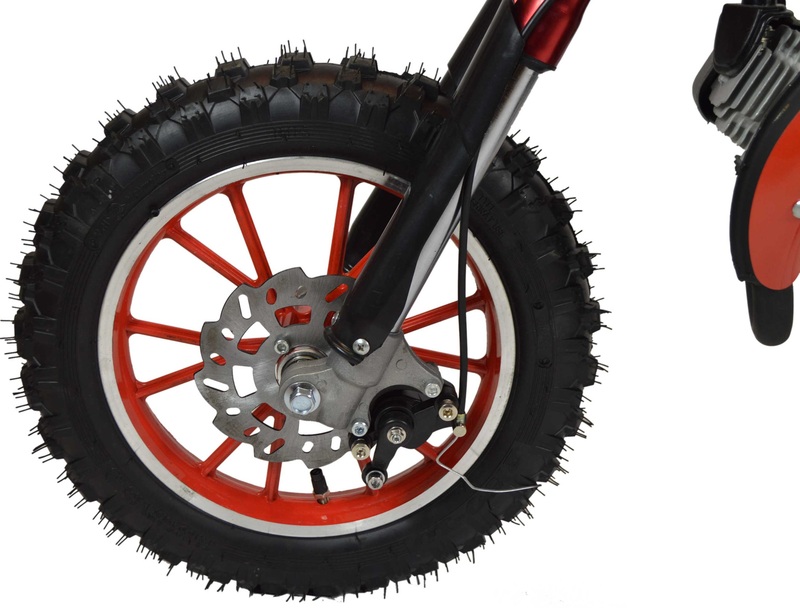 Large 10" tyres and Aluminium Telescopic Fork can handle rough terrain. 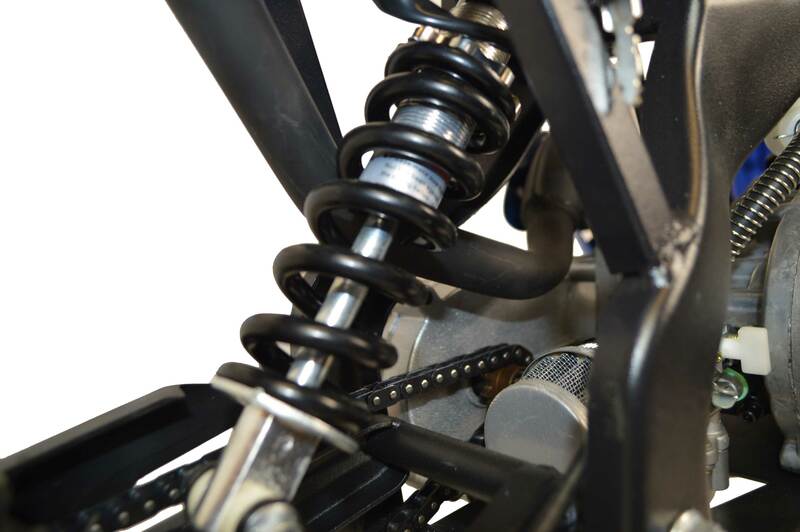 Mono spring sports suspension system. Comfortable & Stylish narrow seat. Curved heat shield with star shaped design. 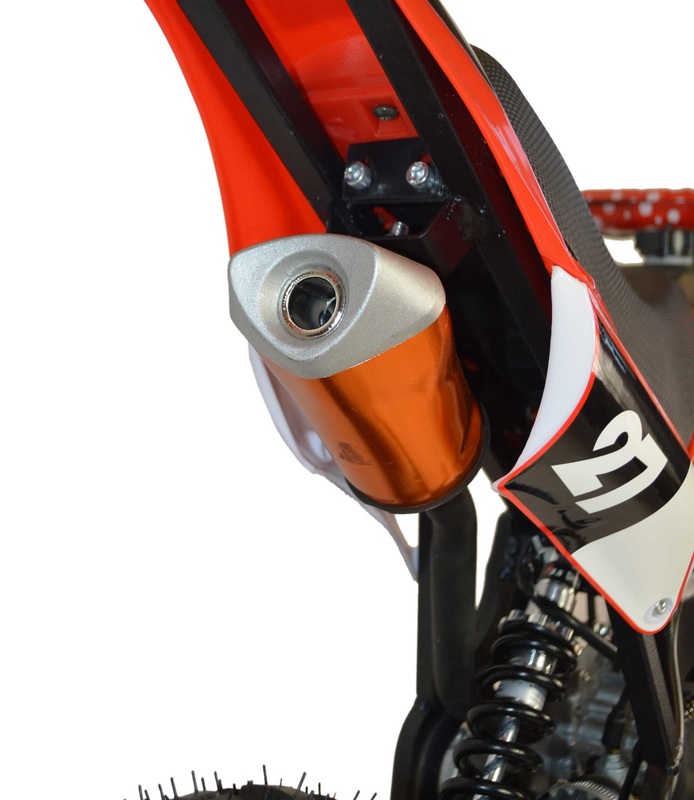 Metal kickstand with foldable foot pegs. Exhaust with orange anodized cover.